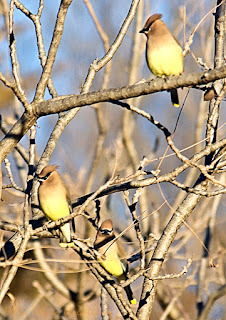 This is an older image of some birds I hope to see around again this winter. 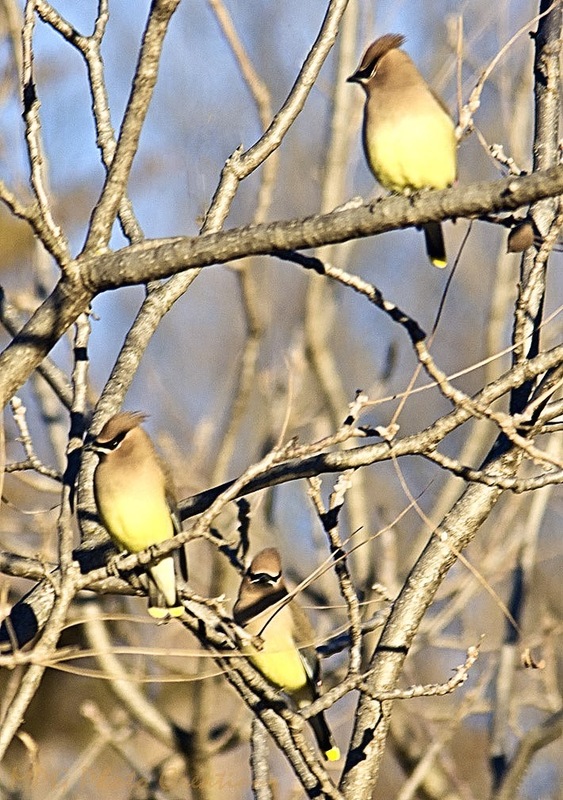 These are Cedar Waxwings and I love their faces that look like they have masks on. They don't visit my yard very often as I don't have the kind of trees that provide the food they look for. If they visit my yard it's to have a drink from the pond in the back. This isn't the best shot I have ever gotten but I liked that I was able to capture 3 of them together.